Throughout the historic parts of New Orleans, the streets are labeled with ceramic tiles embedded into the sidewalk. These beautiful antique tiles are the inspiration for Chris & Nicolle Psilos of nolatiles.com. 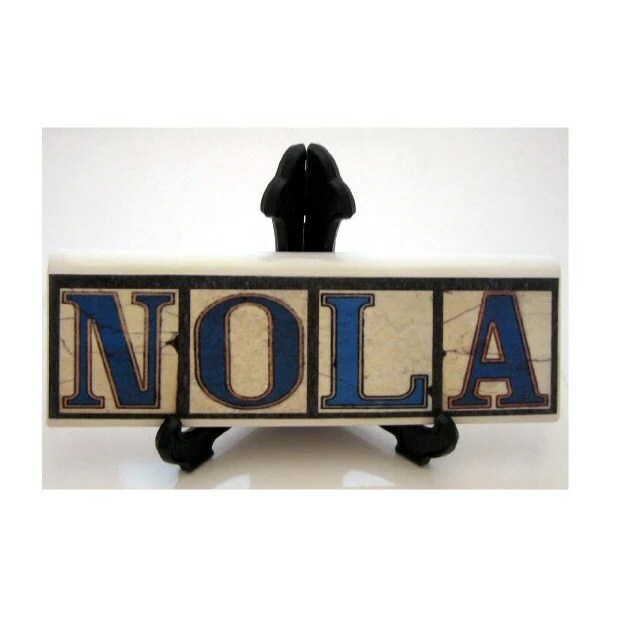 The duo specializes in home decor items that bring a little bit of NOLA anywhere! This whole thing really evolved out of our love for New Orleans. Using such a unique piece of the city as a basis for our work makes it extremely enjoyable to create our pieces. 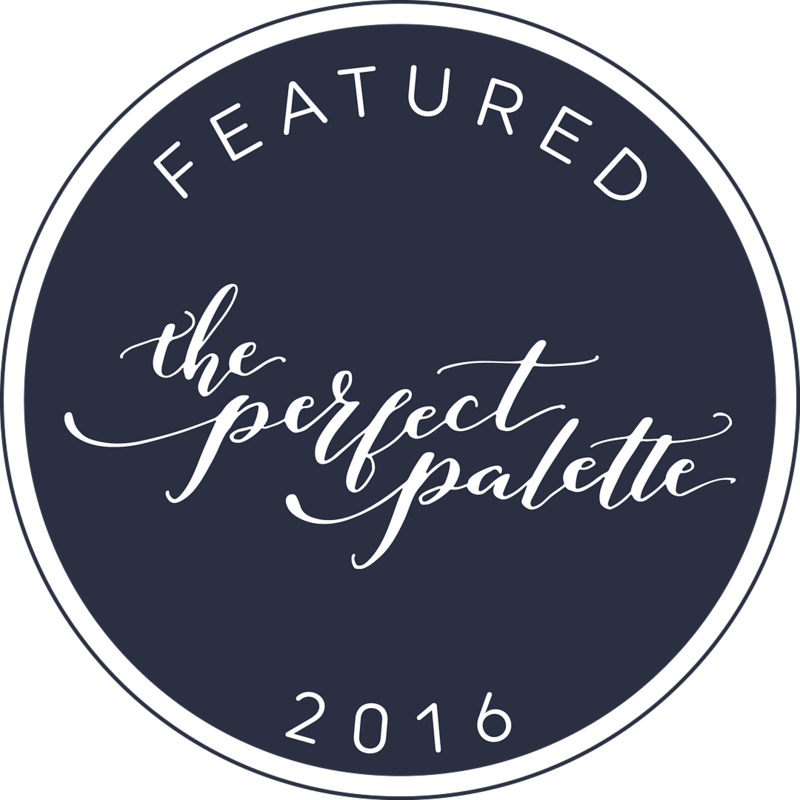 Getting started was an extremely intimidating process because we really never considered ourselves “artists” and basically taught ourselves everything through trial and error. We spent lots of time researching many different processes until we decided on our final items: coasters, magnets, plaques and ornaments/displays. Everything is created in our home and all “raw materials” (with the exception of the heavy duty magnet paper) is purchased over the counter at stores/markets around the city. The most crucial ingredient is the actual picture of the letter or number that we’re using at the time. We literally took thousands of pictures and filtered them down to about 50 or so different images that we use. Even though we’ve only been at this for less than a year, I can say with confidence that we now do feel like “artists” and are working tirelessly to improve our items that we create!